Self-doubt is hardly an unusual trait, we're either too fat or too thin, too ignorant or too clever, too thoughtful or too inconsiderate... the list is endless, but what it often boils down to is a lack of self-awareness. Don't worry, this isn't going to be me launching into an empowering blog about believing in yourself and all manner of self-help tips, however - as I'm sure you've guessed - I am going to provide an answer: books. Because rather unexpectedly the middle destination of my bookshop crawl for Independent Booksellers Week managed to give me a bit of a confidence boost. 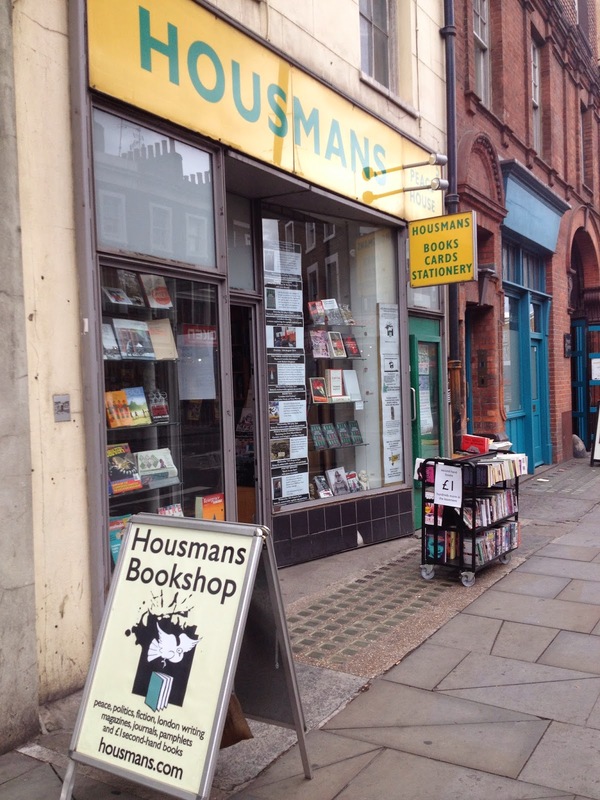 Chosen because it was meant to take me out of my comfort zone - you know the score by now - this was the opportunity to introduce me to somewhere I wouldn't necessarily be brave enough to visit on an ordinary day: Housmans, the radical bookshop. Now obviously by the end of my visit everything was good and I wondered why I'd been uncertain, but despite almost a year of visiting strange new bookshop worlds I still get nervous. And so as I stepped into the shop I was grateful to be immediately put at ease by the sight of a familiar array of radical fiction, much of which wouldn't look out of place among my shelves. 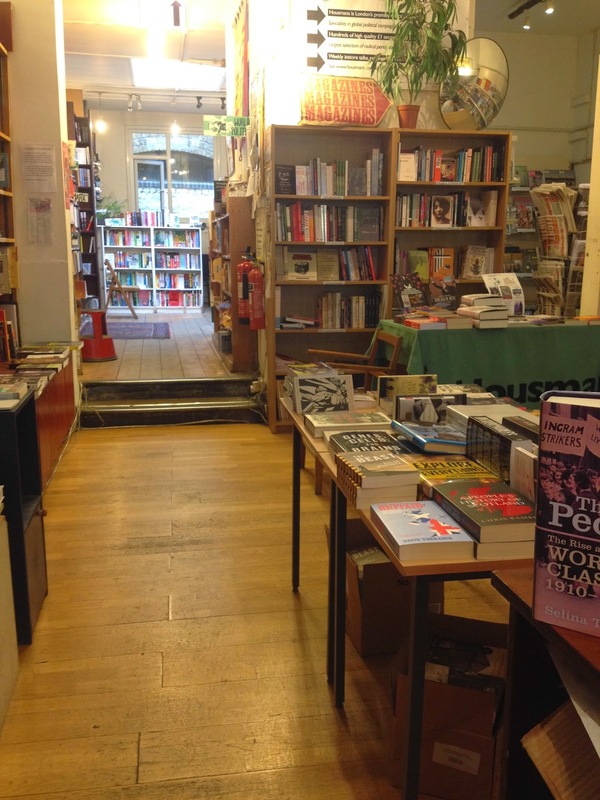 As fiction is a familiar and reassuring sight, I imagine being able to duck into the shop, buy a novel and be swiftly on your way must be an easy introduction to this brave new world, and was I not a bookshop explorer I'd have happily remained here. However looking beyond the fiction, there's much to be discovered. Personally I found myself heading right to the back of the bookshop where environment is guarded by a pot plant, but with a range of thought-provoking subjects and a bargain basement there must surely be a genre to suit all tastes. Eventually circling back to the fiction, I asked the bookseller for his advice choosing a purchase. He picked up a couple and half recommended them, then his eyes lit up and he asked if I'd mind reading something that wasn't present day. 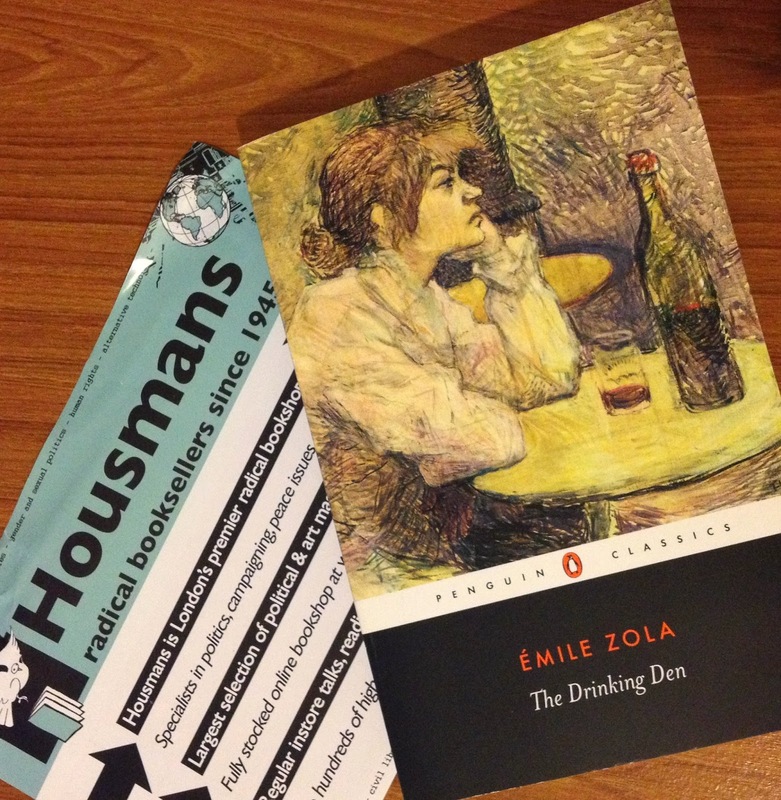 As a fan of the classics I said sure, wondering what I might be introduced to, and he handed me a Zola. A favoured author in my teenage years, I was thrilled to have The Drinking Den put into my hands. Not only because it's another book by an author I have the greatest respect for, but also because of how it made me feel about my place in the shop. I was no longer an uncertain pretender to radicalism, but a thinker who recognised authors and subjects and had even read her way through some of the books on display. Perhaps I'm not so ignorant after all.